Please follow this link http://s-cars.co.uk/mot-reminder and complete the signup form. You MUST click the link in the confirmation email (this is to confirm your email address is correct and you wish to be included in the MOT Reminder Service), to confirm your request to join S-Cars MOT Reminder Service. All emails sent have an unsubscribe link in the footer, please click the link to be removed from the MOT Reminder Service. 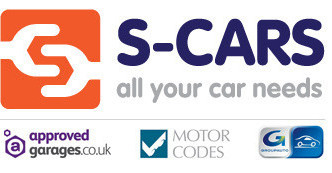 Alternatively, email support@s-cars.co.uk quoting your vehicle registration number. Maybe you no longer have the vehicle, each email has an Unsubscribe link in the footer. Are reminders FREE for everyone, even bulk users? If you are responsible for managing a fleet of vehicles, you are free to signup each vehicle for MOT reminders. It doesn't matter if you register 1 vehicle or 101 - please make sure they are your vehicles! How can I change my details if I sell the vehicle? If your email address has changed, please email support@s-cars.co.uk quoting the vehicle registration number and your old email address. If you have changed the vehicle, either find one of the emails regarding that vehicle and click the Unsubscribe link in the footer, or alternatively email support@s-cars.co.uk quoting the vehicle registration number and we can stop all future reminders. If you have changed your vehicle it's best that you signup with a new vehicle - follow this link http://s-cars.co.uk/mot-reminder and complete the signup form. If you have any queries regarding the MOT Reminder Service, please contact us via support@s-cars.co.uk quoting your vehicle registration number.